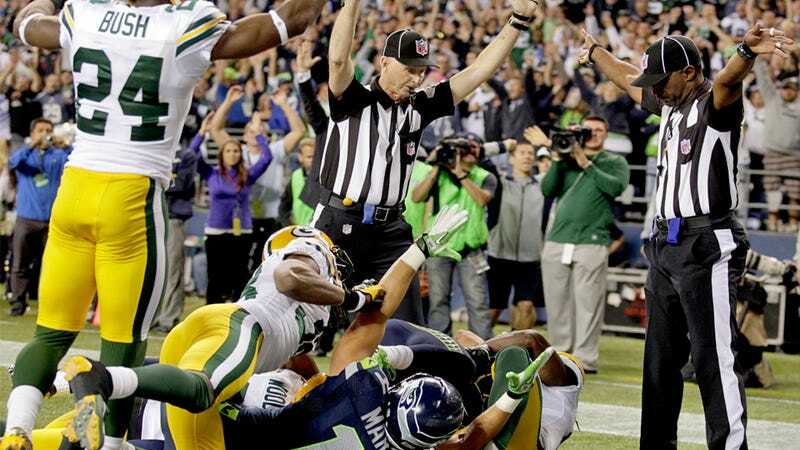 So, it turns out hiring replacement refs so that the NFL season can continue uninterrupted was not the best idea. Sure, it's led to tons of free publicity and has put the league in the spotlight. But with betting websites actually refunding wagers as a result of botched calls, it's not the positive light NFL officials were hoping for. But we're here to help those beleaguered refs who are just trying to do their best while relieving the pros from their sideline duties. So here's everything the NFL's replacement refs might need to do their jobs properly for a change, and maybe even make it home safely at the end of the night.